Gluten Free Organic Fruit Oat Muesli. 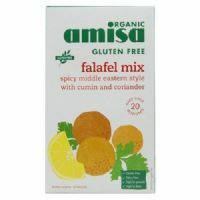 A spicy Middle Eastern style falafel mix with cumin and coriander. Organic Gluten Free Bircher Muesli with Hazelnuts, Almonds, Sultanas and Apple. 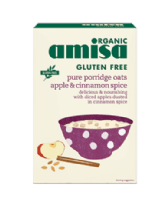 Pure porridge oats with diced apple and dusted with cinnamon spice. Delicious and nourishing blend of oats, millet, amaranth and buckwheat. Organic Gluten Free Wholegrain oats. 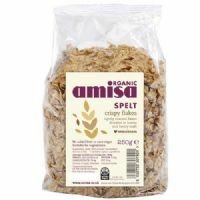 Crispy flakes of organic spelt drizzled with honey. 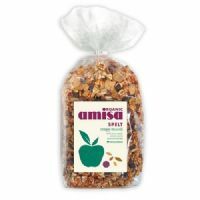 Organic Spelt Muesli packed with dried fruit.